Vietnam’s northernmost province is located in the northwestern. Hoang Lien Mountains – the Tonkinese Alps as the French called them – near the border with China. All’s quiet except for the whisper of the crisp breeze and the crunch of a local Mong family’s sandals on the road as they walk carrying large bamboo backpacks filled whatever produce or goods they’ve either just bought or are about to sell at the market. The language barrier keeps us at a distance in one way, but the simple smiles of the family bring our two very different worlds close together. Mesmerized by the strength and spirit in their faces, the natural beauty that surrounds us – limestone peaks creeping above a dense mist, vibrant green valleys descending into earth-red rivers – is equally enchanting. I’ve never met anyone who came here and didn’t want to come back. The sturdy roads on the steep sides of the Dong Van Highlands tower above green corn fields in the summer and colorful valleys of wild flowers in the autumn and spring. The carpet of colors – even on grey, overcast and otherwise dreary days – is breathtaking. The journey to Dong Van is not exactly easy, but it’s worth it. At an altitude of more than 1,000 meters above sea level, the bends are sharp and the passes narrow for hours along the rocky plateau. Drive slow, especially if you go by motorbike, as the safety rails are not very high. 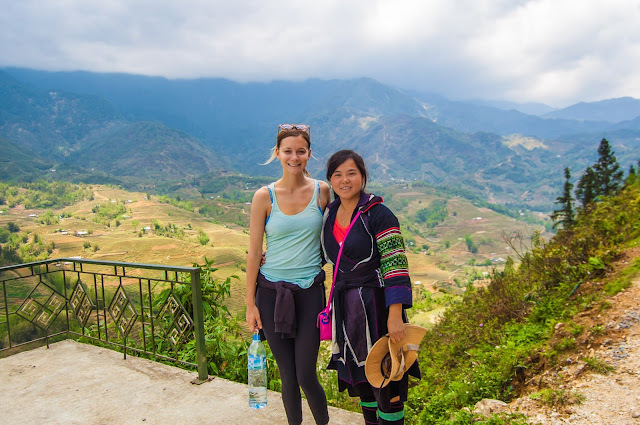 The motorbike is the most intense way to experience the trip, but most rides in Ha Giang are not only gorgeous, but also tiring and at times dangerous. 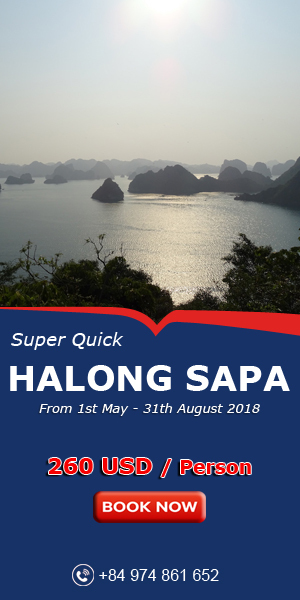 There is only one road connecting the town of Ha Giang to the smaller towns of Quan Ba and Yen Minh and then Dong Van and Meo Vac districts, the most remote part of the trip. From Quan Ba, a beautiful road takes you on cliffs beside the Mien River. The road goes through several Mong villages before it lands in Dong Van Town, where the local Tay community has been living for around 200 years. The French army landed here in the 19th century and there are still several rows of old French tile-roofed homes alongside other Vietnamese homes from the late 19th and early 20th centuries. The Mong market is open every Sunday, producing a variety of different sounds and smells. About 20km from Dong Van is Meo Vac Town, the capital of Meo Vac District. Meo Vac is famous for its “Cow Market” where 300-400 cattle are sold every Sunday in northern Vietnam’s largest bovine exchange. The sellers, who can earn tens of millions of dong per animal, always invite the buyers to enjoy local wine after the transactions. Meo Vac is near Dong Van, so some people go to both markets on a Sunday morning. 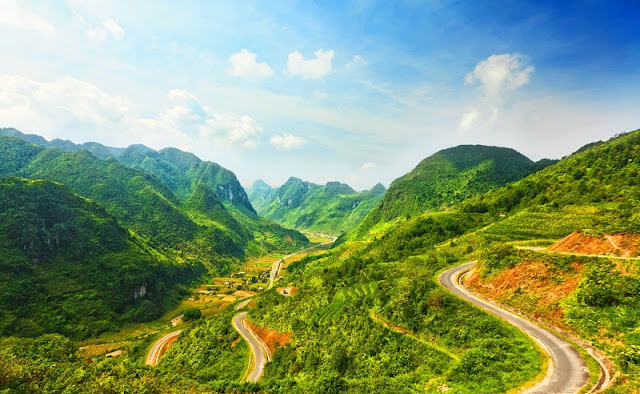 The road between Meo Vac and Dong Van may be one of the most beautiful in Vietnam. But it has a sad history. For years in the 50s and 60s, tens of thousands of migrant laborers from six surrounding provinces worked to break the mountain and build the road. But due to wartime deprivation, many died of diseases and accidents. Now the road is known locally as the “Happy” road, perhaps for its beauty. But there is a monument commemorating the dead workers who built it. The Dong Van Plateau is made even more beautiful by the Mong people who live there. Life can be difficult for a poor Mong family, but in my years of visiting Ha Giang, I’ve never heard anyone complain or ask for a favor. The Mong always smile and are extremely friendly to visitors. All the intricacies and grace of the Dong Van Highlands can hardly even be mentioned in this story alone. More stories will soon follow to elaborate on the culture, history and natural wonder of the area. 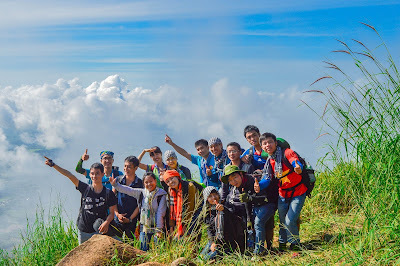 The Dong Van Highlands, encompassing total area of more than 574 square kilometers in Ha Giang Province’s Quan Ba, Yen Minh, Dong Van and Meo Vac districts, could eventually be recognized as a UNESCO Global Geological Park. 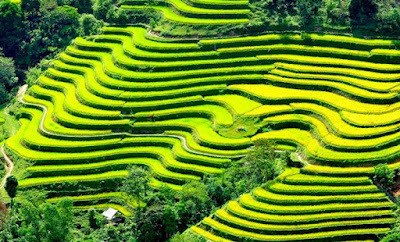 Ha Giang Province and its Dong Van Karst Plateau is among the favourite destinations for both Vietnamese and foreign travellers.